Hi everyone! My name is Mikaela Cannizzo and I’m a recent graduate of the University of Texas at Austin. I am excited to be starting my first full-time job as an account coordinator at Ketner Group! I was born in Los Angeles, but my childhood was split between Southern California and a suburb outside of Dallas. I moved to Austin for college and decided to stick around. Although the variety of amazing restaurants and the beautiful hill country may have had something to do with that choice, my job opportunity with Ketner Group was the deciding factor. Writing captured my heart at a young age. Whether it was writing papers for class or spending my free time coming up with an idea for a creative story, I loved the way writing allowed me to transform my thoughts into something comprehensive that could possibly resonate with others. During my high school years, I utilized my writing capabilities as the managing editor of the yearbook and a participant in an independent study and mentorship program, which gave me the opportunity to write articles for the Dallas Morning News. My high school experiences led me to choose journalism as my major in college. I loved getting to learn more about the profession and pursue print journalism passionately as a member of the Daily Texan staff my sophomore and junior years and as an intern at the Dallas Business Journal last summer. Throughout those years, I also took on a job as a writing consultant, helping students in the communications school improve their writing. I decided to switch career paths slightly my senior year when my interest in public relations was sparked by the assignments and projects of the PR students I worked with. Following through with this new direction, I spent the spring interning with Cohn & Wolfe, a public relations and global communications agency in downtown Austin. I enjoyed learning more about agency life and working with different clients on creating engaging content for their brands. 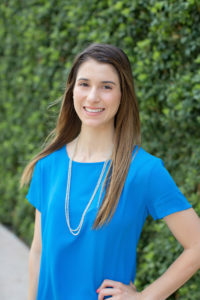 Knowing that writing and storytelling are the core components of the PR profession, I couldn’t be more excited to continue in the field with Ketner Group! When I’m not working or writing, I enjoy spending time at the lake, visiting restaurants and coffee shops and just exploring new places in Austin. While I’m thrilled to call Austin home, I also love to travel and am always down to plan a trip, even if it’s a spontaneous one!